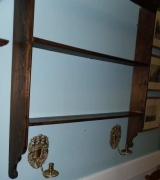 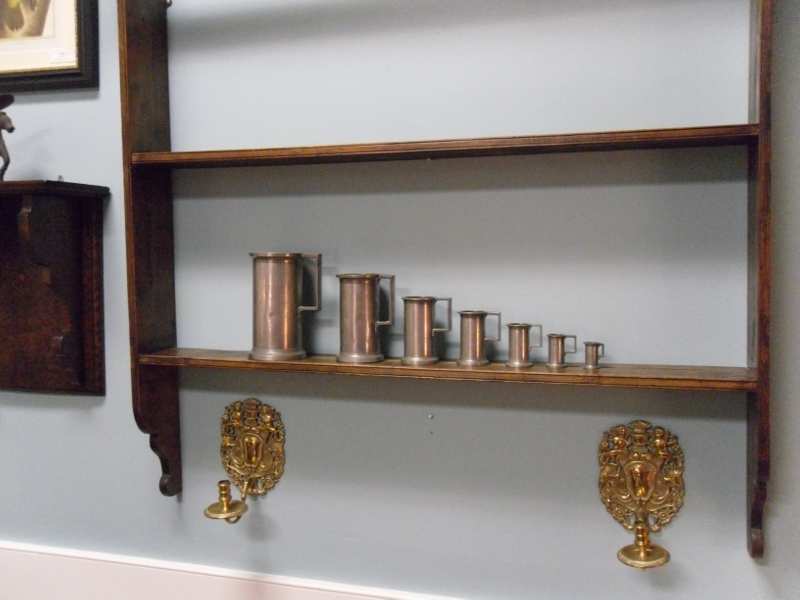 Very nice pine wall hung pewter rack. 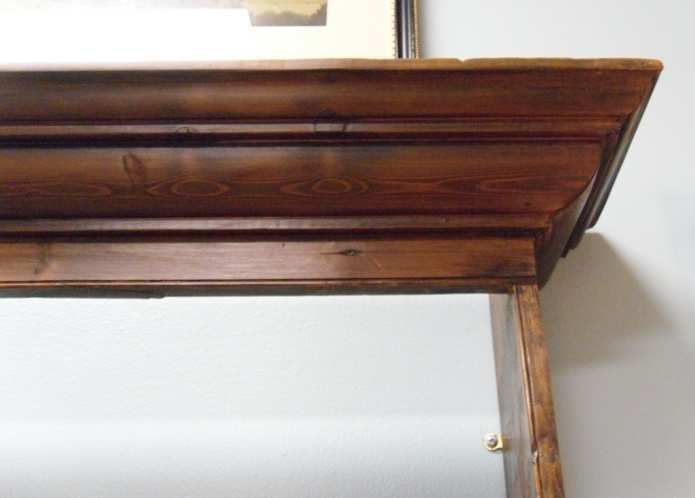 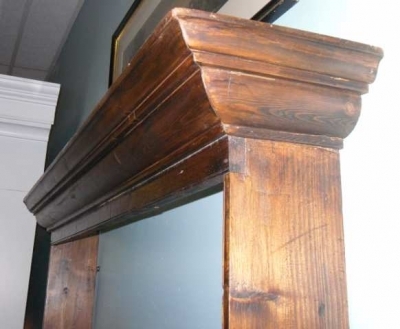 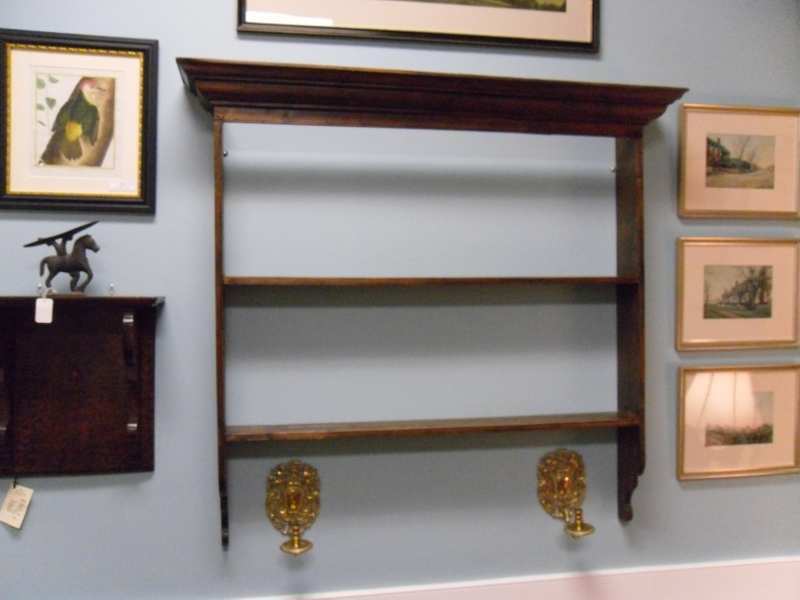 Featuring a very nice cornice over two shelves, which have scratch molded edges. Shaped "tail". 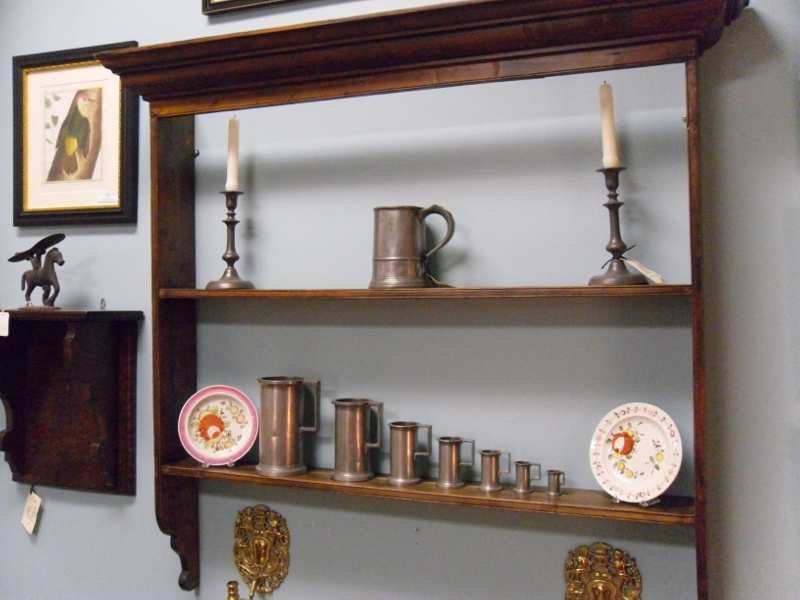 c. 1810.